When buying a welding machine there are a whole host of terms and functions that even the most experienced welder might not understand. At TBWS Welding Supplies, we believe in keeping our customers well informed so that they know what functions they need or would like in their new machine. Below is a list of some of the common terms used by manufacturers and their advantages. IGBT stands for Insulated Gate Bipolar Transistor. It is a solid state device (with no moving parts) that switches to allow power flow in the On state and to stop power flow when it is in the Off state. These are used in inverter welding machines and allow a switched mode power supply capable of coping with high loads of Arc Welding. 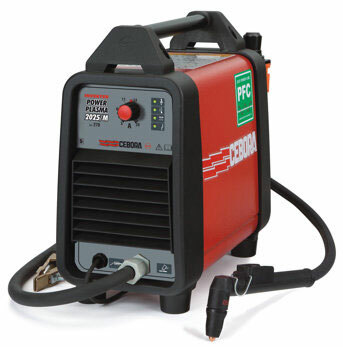 An Arc welding power source with “hot start ignition” temporarily increases the output current during the start of the weld. This momentary increase in power assists the ignition and quickly and reliably starts the arc. Hot start ensures an excellent arc ignition which helps prevent the electrode sticking and hence avoids metallurgical defects in the weld. What does VRD stand for? Jasic machine specifications refer to VRD. Jasic explain that the VRD function keeps the operator safe when the machine is idle. VRD stands for voltage reduction device. When a VRD is fitted on a welding machine,it reduces the maximum unloaded open circuit voltage across the output terminals of the welder to a safe voltage normally about 12 volts. When a load of less than 200 ohms resistance is applied to the output of the welding machine the VRD will sense this and turn the welder to full output then welding will commence. When the resistance across the output rises above 200 ohms or the electrode is removed from the workpiece then the VRD will turn the output of the welder back to a reduced output state. What is Self-adaptive arc force? performance of the machine when using long welding cables. Scratch, Lift and HF Start TIG…. Scratch start TIG is the oldest arc starting method. Its similar to striking a match. The problem with scratch start however, is the tungsten gets hot almost instantly and small bits of tungsten break off and get stuck in the weld when the arc starts. This can cause structural problems later with the contamination in the weld. However, this method is still widely used and is a good way to get started in TIG welding. Lift start is a cleaner process, even though it involves contact with the metal work piece. By making a brief and light contact between the tungsten and the metal, the welder draws the arc by quickly lifting the torch. 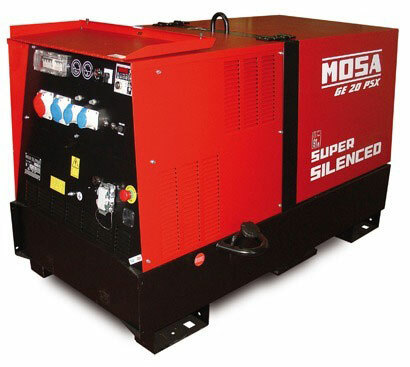 Initially the welder cuts back to a very low output voltage when the power source senses continuity with the work piece. When the tungsten is lifted, the power source shifts to a higher output, creating the arc. Although not a completely “clean” technique it creates less contamination within the weld and preserves the tip of the tungsten. Lift TIG is generally not a good method for Aluminium due to the affinity tungsten has with the metal. For steel and stainless, Lift TIG is a better option than Scratch start. High Frequency or HF start is the most popular and cleanest arc starting method in TIG. The power source generates a high frequency arc which ionizes the air and bridges the gap between tungsten and the work piece. HF start is the best option when welding aluminium as there is no need to touch the tungsten on the metal to start the weld. What is the 2T and 4T functions? The 2T and 4T function is a control setting, available on some machines. Basically put, in 2T setting, you press the button on the TIG torch once, the arc starts and when you release the button the arc stops. In 4T, you press the button to start the arc and until you press the button again, the arc will continue. The 4T setting can be more comfortable when welding a complex shape or for prolonged periods of time and can reduce hand fatigue. What is Up slope and Down Slope? Only used with torch trigger operation. Up slope is the gradual ramping of welding energy. The length of the up slope time can be programmed to suit the material being welded. If welding a corner for instance, it may be beneficial to use up slope so that the welder does not start with too much heat in the weld at the edge of the corner, which may cause burn through of the work piece. As the torch is moved along the weld, onto the inside of the corner, the welding energy would increase to provide sufficient energy. Down slope is the reversed process, which is also known as crater fill and allows you to have a better finish off weld and no crater. Pre-flow is the shielding gas which flows from the torch immediately before the machine initiates an arc. The function of this pre flow gas is to remove impurities in the torch and protects the weld joint the moment the weld pool is started. Post-flow is the gas that flows through the torch immediately after welding, to prevent impurities from entering the cooling weld puddle. When welding aluminium, the post flow time should be increased as aluminium is more vulnerable for a longer period of time after you stop welding. Reverse Polarity (DC+) puts more heat into the work piece, resulting into a deeper penetrating weld. Straight Polarity (DC-) puts more heat into the electrode and increases the deposition of the electrode and hence, a broader puddle. Burnback control sets the amount of wire to ‘burn back’ after you release the trigger of your torch. For example, with a max burnback, once you have finished a weld, the wire will burn almost right back to the tip. Hope this helps. If you are interested in a machine and not sure on the functionality, please give us a call. We have a technical advisor able to answer any query.